As a team of exceptional leaders in a thriving practice, we provide the highest quality of patient care in a comfortable atmosphere, built on trust. 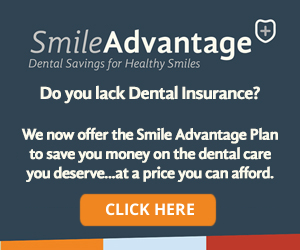 Our goal is to give you the beautiful and healthy smile you deserve. Our Omaha dental practice is dedicated to providing excellent oral healthcare to children, teens, and adults in Omaha, Nebraska and the surrounding areas. Dr. Mark Smith and our highly skilled dental team, are dedicated to a friendly, calming, and fun-loving office. Known for taking time with our patients, we have earned our reputation for being the area’s number one in patient-centered dental care. As Omaha, Nebraska, dental providers, the Got Smile Dental Group cares about all aspects of your smile. We offer a wide range of services that allow children to transition from pediatric dental care to adult treatment all under one roof. For this reason many of our patient families span three generations. We provide an environment that takes the stress out of dental treatment. Along with care, compassion, and state-of-the-art techniques, we focus on dental services that help restore our patients to health and well-being. Contact our Omaha dental office today for your complimentary consultation and see why we are the first choice for patients from two-years-old to 100! "Invisalign was something I have always wanted. I had thought about traditional braces, but didn't like the idea of how visible they would be. 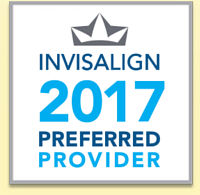 I have heard so many patients, family, and friends say they wished they could have done Invisalign instead of the traditional metal braces. Since I began Invisalign in February I have been thrilled with the changes in my smile! I feel if you are patient and compliant you can get the smile you want. I have heard of only a few patients who have not complied and worn their aligners as much as they should. It is a personal commitment you should make if the goal for you is a beautiful and healthy smile. For me, Invisalign has given me a lifelong dream come true! I am in the middle of my journey and look forward to the end. For now I am enjoying watching my smile change a little each day. I encourage anyone who is ready for an easy fix for a beautiful and healthy smile to consider Invisalign."